LIVINGSTON COUNTY – The Livingston County Sheriff’s Office announces a DWI crackdown for Super Bowl Sunday. According to a press release from Sheriff Thomas Dougherty, who is also the County’s STOP DWI Coordinator, there will be a county-wide crackdown for the weekend of Super Bowl weekend. The statewide STOP-DWI Crackdown efforts starts Friday, Feb. 2 and ends Feb. 5. The press release says that Super Bowl weekend is America’s most watched national sporting event and Super Bowl Weekend is historically a deadly period for impaired driving. Multiple police agencies will participate: the Sheriff’s Office; Geneseo Police Department; Dansville Police Department; Mount Morris Police Department; and NYS Park Police. 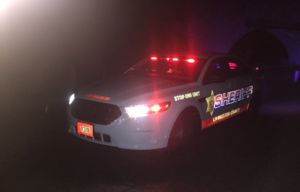 Highly visible, highly publicized efforts like the STOP-DWI Crackdown Campaign aim to further reduce the incidents of drunk and impaired driving. The STOP-DWI Super Bowl Weekend Crackdown is one of many statewide enforcement initiatives promoted by the New York State STOP-DWI Association with additional funding from the STOP-DWI Foundation courtesy of the Governor’s Traffic Safety Committee.